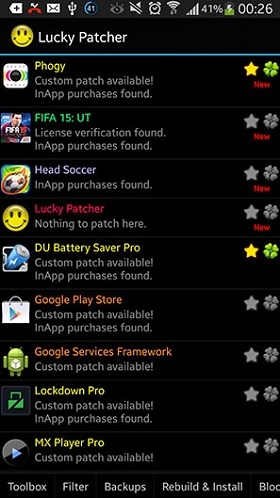 Lucky Patcher Apk Is Good App For Pach All Soft And Game For Android . 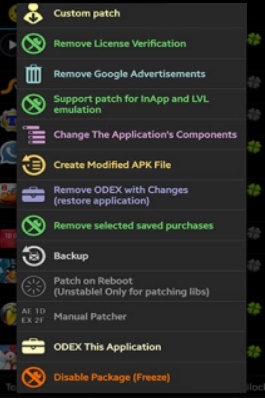 Sure, if you do not know the lucky patcher mod apk software With one installation time You will love it! by lucky patcher software you can patch most of programs and games license and Convert software and games to a cracked software! Now the latest version of this software with its visual learning from the RevDl site at your disposal visitors will be. Has proprietary patches for famous apps. Ability to modify Google Play. Ability to modded Google Play. Ability to create clone version of programs. Ability to save changes and create a modded version of the programs. 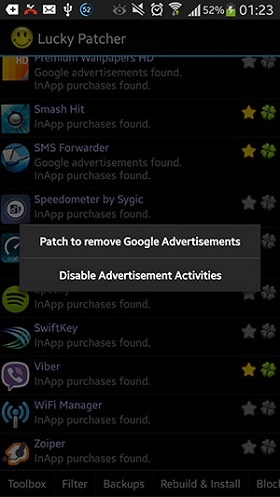 Download Lucky Patcher Apk from Revdl. install the Lucky Patcher. You have to click on the “Yes” button. Click lucky patcher icon and enter it. Green color: That means this app has a very high chance of getting patch. Yellow color: That means this app has a dedicated patch and If the version of the program installed matches its patch the program is cracked 100%. Light blue color: That means this app has Google ads and can be removed by patching the ads. Pink color: That means this program is in the boot list and when it comes up, Android runs automatically. Light purple color: That means this app has in-app payments and you have the chance to make counterfeit payments. Red color: That means this program does not patch and there is no chance to crack them. Orange color: That means this app is an Android system application and You have to be careful about patching and occasionally, the program may interfere with the function. Leaf sign: Being active shows that lucky patcher made changes to the program. Star sign: The ODEX file has been modified with the changes applied to the program. If you delete ODEX the program will return to the pre-patch state. To do this, you need to touch the app for a long time until the patch menu appears and then select the type of patch you want to make changes. Custom patch: to apply a dedicated patch and it is in the foreground. If this option was enabled for the program Be sure to select it. This episode has several different modes that patches the programs automatically. It’s better to first try only the first one and then if not answered , try other modes like inversed and extreme mode. Also, if the app is for the Amazon or Samsung market select the option for that if the application has been transferred to the sd card select apply patch to dalvik-cache. In this case, you can manually perform different patching patterns in the lucky patcher. There are currently 7 different patterns for patching in the app. to patch manually, you must first select the backup option then enable the Internet Choose one of the patterns and Press the Patch option now you can test the program by selecting the launch option If the selected pattern was not working choose restore option and apply the next pattern. Finally, when the program patch, select the fix changes option. C. Selected Patterns modes: If the two above modes are not working, you can also try the options in this section. Remove Google Advertisements: by use this option you can remove ads in the programs which itself has two different modes and if the first option does not work, try the next option. Support patch for InApp and LVL emulation :This option is special for programs that have in-app payment options In fact, this option works like famous freedom program after patching the program by this option after applying the pitch and running the app when choosing in-app payments, Lucky Patch’s payment options will be displayed to you. Change The application’s components : By this option you can disable or change components and accesses defined in the program.this option requires information on how Android programming works but with the test and error you can get the result. Create Modified APK File:With this option you can create patched apk files this option applies the patches described above on the installer file so that the patches do not need to be applied later. after saving the changes, the modified file in the luckypatcher folder is stored in the phone’s memory. Remove ODEX with changes: This will remove the odex option created with its changes and the program returns to the pre-patch state. Remove Selected saved File: This option also removes all payments in the program and returns the program to its first state. 10. restore: This backup option restores programs. Patch on Reboot:This is done by the Patch Option when Android is restarted this is an unpacked state and only for applications that require a library so. Manual Patcher: This option is for professional users only to patch apps by applying changes to the hex fields.To use this option, you need to know about Android programming. Disable Package Freeze:With this option, you can freeze and deactivate installed programs but keep the app still installed. Share this App:This option allows you to share the app. Hi admin how can i hack the walking dead road to survival? i want to have coins to buy better characters in walking dead. Please help me. Thanks in advace. ? You got the update fast so thanks for sharing ! Can it hack crisis action? Can it hack clash of clan’s??? Can it work on lollipop? How To Use Lucky Patcher ?? ?